These collected essays deal with the evolutions and immutabilities of international society and international law during the last 25 years, a period during which these fields of study have undergone many changes. The starting point is that far from operating at different levels or being in conflict, international law and politics are closely intertwined. 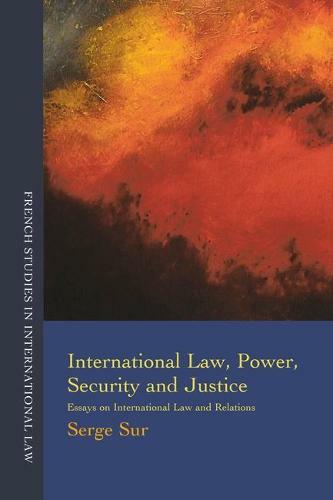 The book addresses the many different aspects of international law: the role and concept of the State, and the position of States in the international system; the bases, principles and evolution of public international law; questions of international security that still govern international relations; classic and current systems of peace and security maintenance; the standing, role and actions of the UN Security Council; arms control and limitation of armaments; unilateral uses of armed force and the legality of war; and humanitarian law and international criminal justice. The perspective of these essays is not a theoretical or dogmatic vision of international law and politics; rather they are based upon the practices of States in the international arena, and the ways in which the guiding legal rules are elaborated and implemented. These texts have been selected from Professor Sur's various books and numerous articles on international law and relations.